A probe panel headed by former Supreme Court Judge B N Srikrishna has found that former chief executive and managing director of ICICI Bank Chanda Kochhar violated the bank’s code of conduct in the Videocon loan case. Based on the findings of the report submitted on Wednesday, ICICI Bank has decided to take back all bonuses given to her between April 2009 and March 2018, and also revoke all benefits and stock options. The bank said Kochhar “ineffectively” dealt with “conflict of interest and due disclosure or recusal requirements,” while deciding on loans given to the Videocon Group, where her relatives had a close business interest. “Chanda Kochhar was in violation of the ICICI Bank Code of Conduct, its framework for dealing with conflict of interest and fiduciary duties, and in terms of applicable Indian laws, rules and regulations,” a statement from the bank, citing the report, said. The committee investigated her role since April 2009, when she was named the CEO, to March 2018. “With the former CEO having separated from the bank and the completion of the enquiry, the bank's role in the matter is now to cooperate with regulatory and government authorities and processes. And we would move forward with sharp focus on business,” Sandeep Bakhshi, managing director and chief executive of the bank, said in an analyst call Wednesday evening. In June last year, the bank had announced that Kochhar would be on leave till the probe was completed and appointed Bakhshi as chief operating officer and interim CEO. Bakhshi officially took charge as CEO in October, as Kochhar sought early retirement. The bank had stated that the probe into Kochhar would continue and the Srikrishna report was supposed to be released in November 2018 but was delayed. 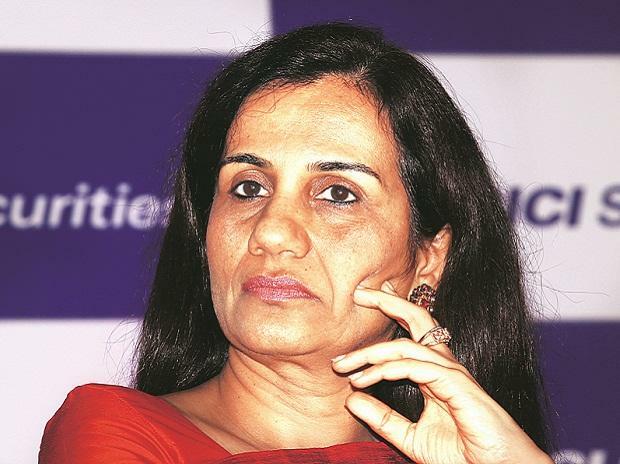 After the probe report was submitted Wednesday morning, the bank board met to treat Kochhar’s separation from the bank as a ‘Termination for Cause’, as per the bank’s internal policies. The bank said it would revoke “all her existing and future entitlements such as any unpaid amounts, unpaid bonuses or increments, unvested and vested & unexercised stock options, and medical benefits), and require the clawback of all bonuses paid from April 2009 until March 2018.” The bank statement added it would also take further actions as warranted in the matter. As per the annual reports of the bank, Kochhar may have to return Rs 9.82 crore in bonuses she received as the CEO, and may have to give up close to 6 million shares of the bank she had the options of. "It is a voluminous report covering all the financial dealings led to impropriety, quid pro quo and hence conflict of interest. As it is an internal report, we do not require to make it public. However, the bank will share the report as and when required by regulators and investigative agencies, Besides, in case of any legal consequences, the bank will contest that," said a source. The probe led by Justice Srikrishna was assisted by a law firm and a forensic and investigative services company. The bank said there were no implications of the enquiry report on its published financial statements for the relevant periods. Last week, the Central Bureau of Investigation (CBI) had filed an FIR against Kochhar regarding quid pro quo allegations in a loan given to the Videocon group. The FIR also mentioned that the role of former chairman KV Kamath and current MD & CEO Sandeep Bakhshi along with other senior bankers in the matter may be investigated. Kochhar had strongly denied the allegations following the first whistleblower complaint originally made in 2016. Subsequently, the bank board had shown full support to its CEO. The matter was investigated by multiple authorities including the Income Tax Department and the Securities and Exchange Board of India (SEBI) for months. In April 2018, ICICI Bank’s then Chairman M K Sharma had said the board had full confidence in Kochhar, while ruling out any quid pro quo as alleged in the Videocon loan case. However, a second whistleblower complaint in May last year alleging the same prompted the bank to set up an internal probe against Kochhar.